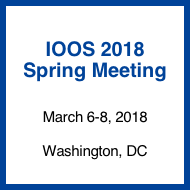 Please save the date for the 2018 IOOS Spring Meeting March 6-8, 2018 in Washington, DC. Click here for more information. The U.S. IOOS Advisory Committee (the Committee), a Federal advisory committee, is soliciting applications for new membership for the August 2018 term. 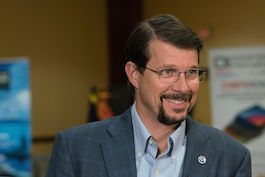 The Committee provides advice to the Under Secretary of Commerce for Oceans and Atmosphere and to the Interagency Ocean Observation Committee (IOOC) on the planning, integrated design, operation, maintenance, enhancement, and expansion of the United States Integrated Ocean Observing System (U.S. IOOS). Applications will be accepted through September 20, 2017. The eleven Regional Association (RAs), members of their Boards, staff of the IOOS Program Office (IOOS PO) and partners gathered in Silver Spring, MD for the IOOS Spring Meeting on March 14-15, 2017. The first day was a facilitated discussion about the five-year U.S. IOOS Strategic Plan that the PO is developing. The second day was a joint meeting held with the regional data managers, RA Directors and IOOS PO staff. 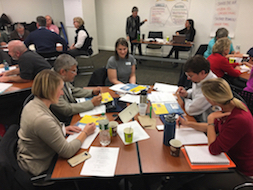 The facilitated discussion focused on the Data Management and Communications (DMAC) mission, vision, and priorities for the next five years. 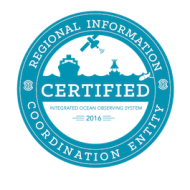 Congratulations to the Southern Coastal California Ocean Observing System (SCCOOS) on becoming the fourth Regional Association to be certified as a Regional Information Coordinating Entity under the ICOOS Act. This designation means SCCOOS provides high-quality observations that meet rigorous National-standards for data management and governance. They will now be covered by federal liability protection. Zdenka Willis officially retired from U.S. IOOS and Federal service at the end of January 2017. 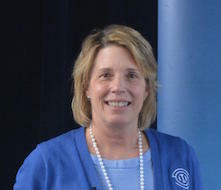 She transformed U.S. IOOS from an emerging concept to a fully operational program that provides timely and reliable information to people around the nation and the world. She worked tirelessly to build partnerships with the Federal agencies, Regional Associations, private industry and international partners. No task was either too large or too small for her. It is hard to imagine U.S. IOOS without Zdenka; the program’s strength and vitality are the legacy she leaves. 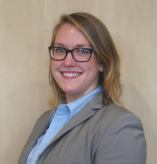 Zdenka will continue to follow her passion for the ocean, coasts and Great Lakes as an independent consultant. We thank her and wish her the best. Congratulations to Carl Gouldman, the new U.S. IOOS Program Office Director. Carl brings a passion and depth of knowledge about U.S. IOOS. He has served as the Deputy Director since 2014 overseeing the daily operations of the many aspects of U.S. IOOS’s Program Office, including working with the 17 Federal agencies and the 11 Regional Associations. He holds a master’s degree in Coastal Environmental Management from Duke University and a bachelor’s degree in political science from Duke University. When he’s not working to ensure stakeholders have access to the best information possible, he enjoys fishing the coastal waters and spending time with his family. We are proud to announce the launch of our new updated website! 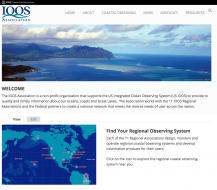 Our strategy is to make coastal observing information easily available and be a supporting resource for IOOS outreach, documents, news and more. Please “pardon our dust” as we are fine-tuning the details. The The White House Office of Science and Technology Policy released the U.S. 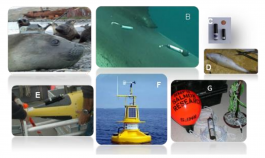 Animal Telemetry Network Implementation Plan, a blueprint for coordinating aquatic animal telemetry research, operations and data management in the U.S. Read more on the IOOS website. Emily Patrolia, the Director of Government Relations for the MARACOOS, was selected as a legislative Knauss Fellowship for 2017. She will be working with the majority staff of the Senate Committee on Commerce, Science and Transportation. IOOS Association looks forward to working with her on ICOOS Reauthorization. For more information on the other Knaus Fellows please click here.